In the lead-up to the 2010 Strategic Defence and Security Review, a senior civil servant working on major Royal Navy projects received a frantic call from the upper echelons of the MoD. 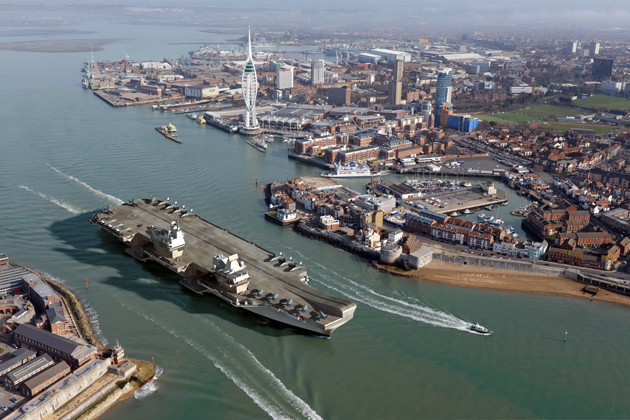 It was regarding the navy’s flagship procurement programme for two 65,000t Queen Elizabeth-class aircraft carriers and a request about the costs of converting the ships’ aircraft launch and recovery system to a catapult and wire recovery system – known as cats and traps. ‘How much would it cost to covert the Queen Elizabeth-class carriers to cats and traps?’ the official was asked. ‘Well, give us nine months or so and we can get that priced up for you,’ the official replied with the knowledge that this would require detailed design and survey work, and the acquisition of additional materials and systems, which would all need to be assessed. ‘No, you don’t understand, we need to know the cost of the conversion now,’ was the desperate reply. ‘Well, give me a week and I will put some calls into the manufacturer and see what we can come up with, but it will only be an estimate,’ was his puzzled answer. ‘No, you really don’t understand, you need to tell me the cost right now,’ was the increasingly panicked demand. ‘Well, if you are forcing me to guess, I don’t imagine you would get change from a billion,’ the official offered as a measured guesstimate. Thus the MoD completed its due diligence and the SDSR included the decision to switch from buying the F-35B aircraft variant, which does not require cats and traps to launch and land on the carriers, to the F-35C variant, which does. The decision came as some surprise, to say the least, given the UK had considered both variants before the F-35B short take off and vertical landing variant was selected in 2002 and later approved in 2006. The logic was that the F-35C would have a longer range and greater weapons payload but, according to the government, installing cats and traps would also allow ‘American and French aircraft to operate from our carrier and vice versa’ – a half-baked idea dreamed up by the-then defence secretary Liam Fox. Less surprisingly – but no less embarrassing – after Fox had been moved on the plan was then reversed in 2012 once the true costs had been evaluated, doubling to an estimated £2 billion per vessel, according to the MoD, and creating a three-year delay overall in the QEC programme. The slap-dash nature of the decision and versions of the conversation above have since slipped into legend. Nevertheless I recently spoke to the civil servant who took that fated phone call. Now a senior figure in the UK’s defence industry, he assured me the above conversation is accurate. 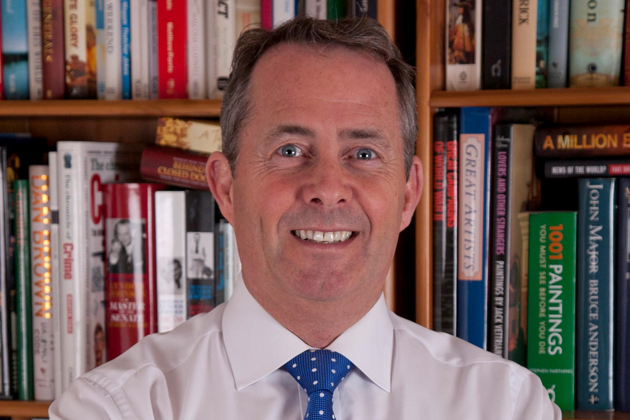 As the man in charge of the defence review, Liam Fox should have accepted responsibility for the chaotic circumstances that led to the F-35C/cats and traps decision being taken. ‘I was told by the navy that it was possible to retrofit the cats and traps at a reasonable cost. It seemed to me that if you wanted to go ahead with F-35 you would want the longer range and bigger payload option, because that would enable you to keep your carriers further offshore, which would add to their safety. ‘But it turned out, as with a lot of things, they had not done the work properly and it was not easy to retrofit the cats and traps at anything like a reasonable cost. It was coming in at something like £2 billion to be able to do so. So he says: ‘Frankly people should have been fired’? The civil service were following instructions so the problem was poor decision-making. In the end it was Fox that got the axe in October 2011 but only after this erroneous decision added a further £100 million cost on the taxpayer. For more on the options facing the UK this time around, see our SDSR special report (free to view).